So last week was Greek Week here on campus. 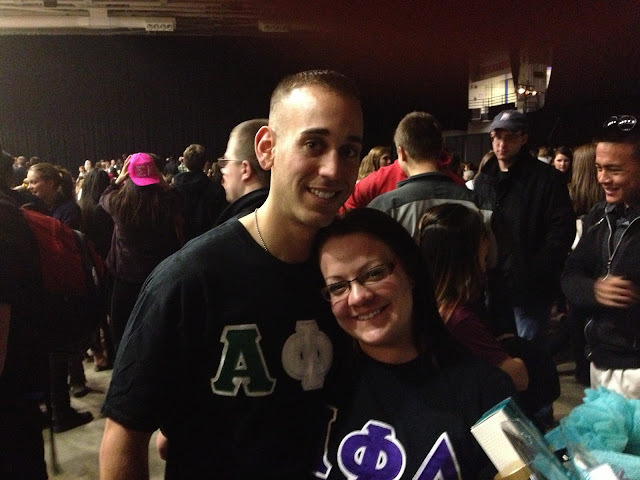 Many of you know that I am the advisor for Alpha Phi Delta Fraternity and I love them dearly. 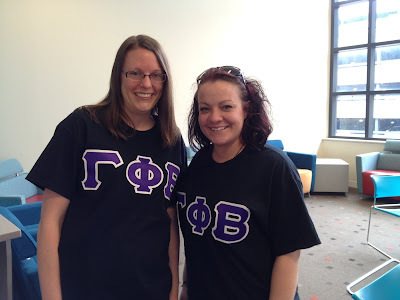 I recently got invited to join Gamma Phi Beta sorority. I am thrilled! 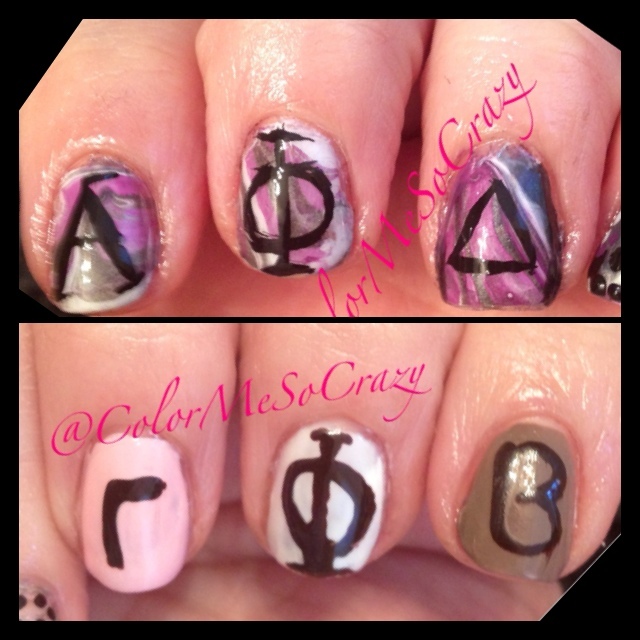 I absolutely love the group of girls and I have 2 alumnae that I am very close with. 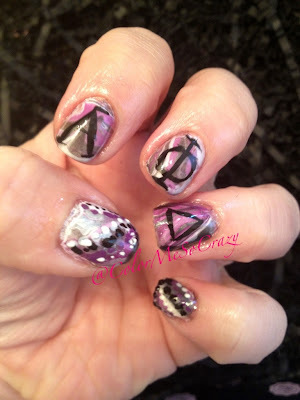 Now that I have to share my hand with 2 groups, I decided to an homage to both groups. 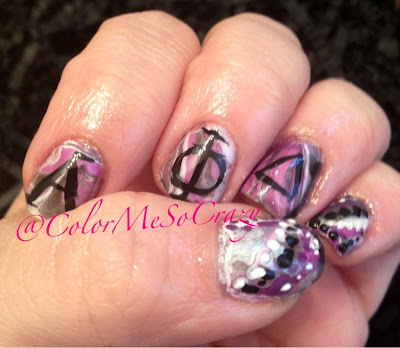 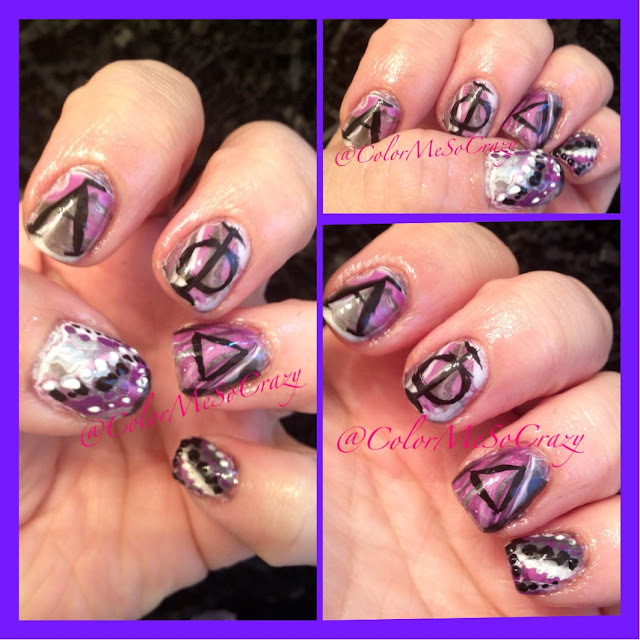 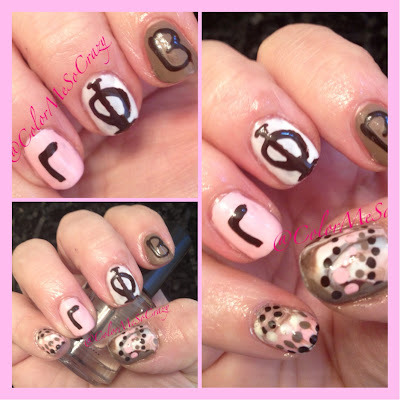 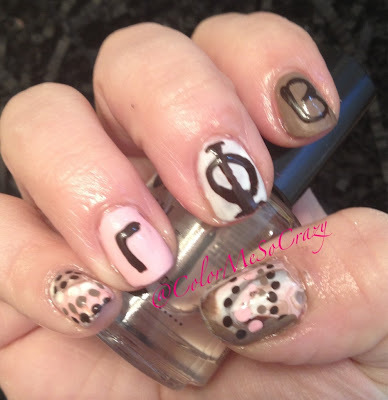 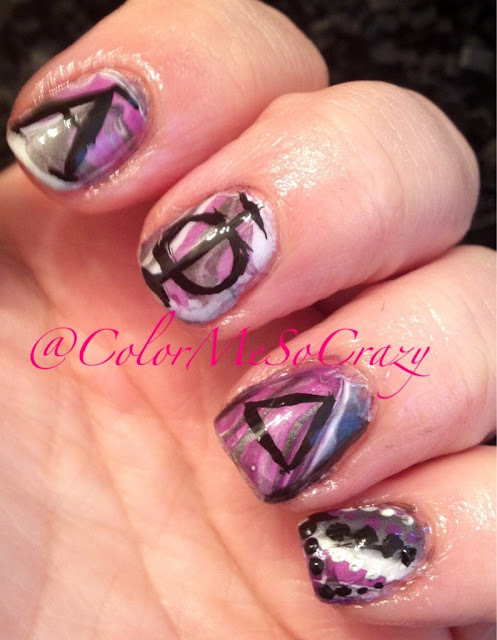 Alpha Phi Delta was on my left hand with some water marbling and their letters along with some dotting. 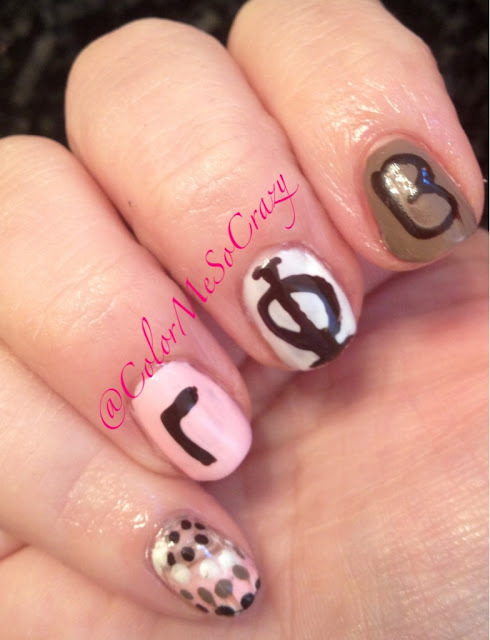 For my Gamma Phi Beta design I used the sorority colors along with the colors of their sorority flower. 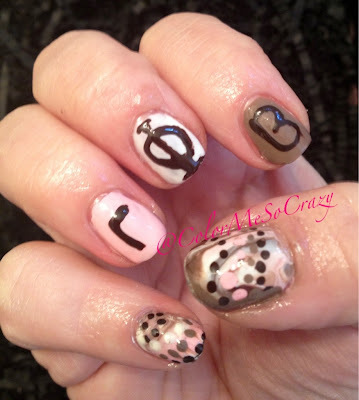 I also did the dot design on the pinky and thumb.